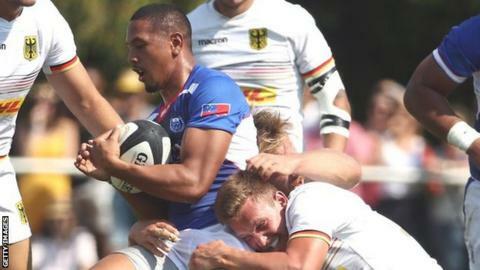 Worcester have made their fifth signing for 2019-20 by bringing in Samoa winger Ed Fidow from French Pro D2 club Provence on a two-year deal. The 25-year-old will fill the gap left by one of Warriors' two current first-choice wingers, Bryce Heem, who is to leave at the end of the season. Heem, a target for French Top 14 side Toulon, has revealed that he will not be signing a contract extension. Wales wing Josh Adams is also out of contract at the end of the campaign. After his exciting breakthrough at international level, 23-year-old Adams has been linked with a return to South Wales, given his need to stay in the Principality to tie in with his country's current international selection criteria. Fidow's arrival date at Sixways, yet to be confirmed, will be subject to his international commitments with Samoa. Warriors director of rugby Solomons said: "Ed is a terrific wing, who has represented Samoa at both sevens and 15s. He is a real X-Factor player with pace to burn. He will be a huge asset for us." Fidow, 25, has also played for Brisbane City in Australia's National Club Championship and Bordeaux-Begles in France's Top 14. "The opportunity to test myself against the very best in England was too good to turn down," he said. "I would like to thank Alan Solomons and his coaching team for giving me the opportunity to join such a historic club. Warriors had already recruited winger Melani Nanai from Super Rugby side Blues, along with Leicester Tigers lock Graham Kitchener, Northland scrum-half Jono Kitto and Connacht tight-head prop Conor Carey have all signed too. Heem, 30, has been Warriors' leading try-scorer since arriving from Waikato Chiefs three years ago, his 30 tries including six in the Premiership this season - but the prospect of a big money offer now awaits the New Zealander across the English Channel. "Bryce has reached the point in his career where he has decided that he wants a different experience," said Solomons. "We have tried our best to persuade him otherwise, but, unfortunately to no avail. "He is a terrific player and a fantastic bloke who will be sorely missed. "Whilst we are really sorry to see him go we wish him all the very best."